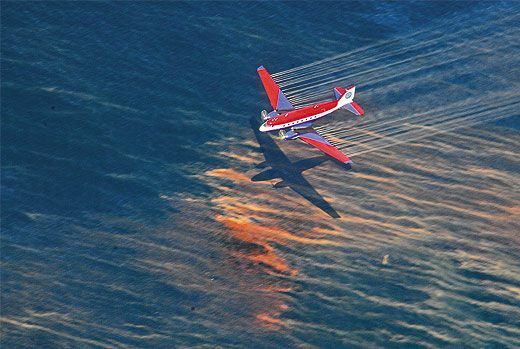 After the oil spill in the Gulf of Mexico, more than 200 aircraft took up the fight to save the coast. Less than 30 minutes after the BP Deepwater Horizon drilling rig exploded in the Gulf of Mexico last April 20, five U.S. Coast Guard aircraft took off from New Orleans and Mobile, Alabama, and headed to the scene. In the weeks that followed, this small fleet grew into one of the largest and most intricately coordinated civil air support missions in the nation’s history. 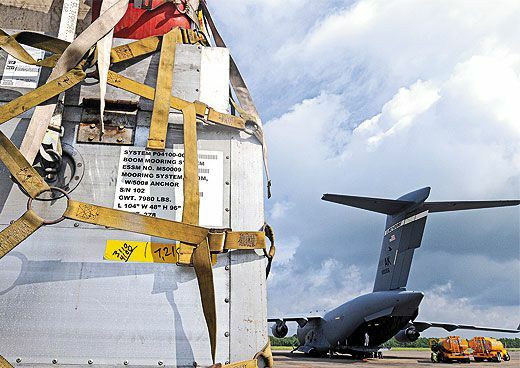 Lasting more than three months, the mission involved more than 200 aircraft—from 70-year-old, radial-engine DC-3s to a NASA ER-2, the agency’s version of the high-flying U-2 spyplane. 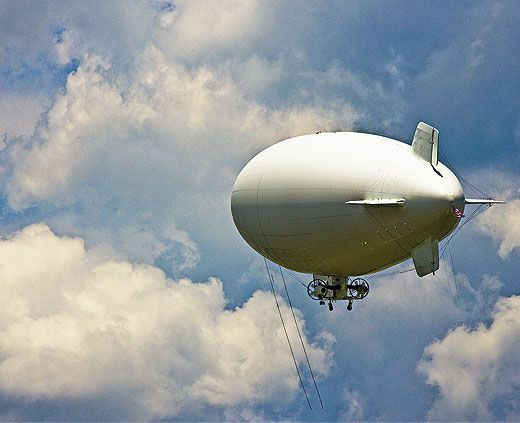 Even a Navy airship, call-signed “Warlock 9A,” joined the effort to protect the Gulf Coast from oil. The Coast Guard is often the agency charged with overseeing the federal response to maritime ecological disasters, and this response, according to chief of aviation forces Captain Michael Emerson, would grow to the size of the operation required by Hurricane Katrina. As oil gushed into the gulf, radar-equipped aircraft flew daily missions to capture the big picture for the National Oceanic and Atmospheric Administration, whose job was to help forecast the oil spill’s direction. Cruising at 60,000 feet, the ER-2, dispatched from Houston’s Ellington Field, mapped the spill with a synthetic aperture radar. U.S. Coast Guard HC-130s also flew long-range surveillance missions, strip-mapping the area with surface-search radar, which had been used on ice patrols to distinguish between water and surface ice. As the spill grew, several commercial satellites helped with the imaging effort to relieve the load on the Coast Guard crews, as did a pair of Bombardier/Dash-8s equipped with sensors, cameras, and radar. One came from Transport Canada, where it had flown missions to detect marine pollution; the other, from the Icelandic coast guard. Interagency teams at area command centers studied the imagery from the recon flights to direct spotter aircraft. The spotters in turn directed airplanes spraying dispersant and boats skimming oil. In a Cessna 182, Civil Air Patrol Captain Ande Boyer flew five hours a day, in rotation with other CAP pilots, from May 17 to August 27 to photograph oil boom—the floating barrier that either absorbs or contains oil—and to direct skimmers. “From the middle of June through August, it was like flying in a sauna,” says Boyer. “Even at 1,000 feet it was in the 90s, and you are sitting in a poorly ventilated airplane for five hours. It is just incredibly uncomfortable.” Patrolling inland waterways, estuaries, bird sanctuaries, and other priority areas for boom placement, pilot-and-photographer teams were issued maps indicating where boom was supposed to be; their job was to report where it actually was, since the tide could pull it from its moorings. “Occasionally you would find it several miles away,” says Boyer. “Early on, there was a problem with boom disappearing. Another party would take boom and move it to where they thought it should be.” Aerial photographs helped planners get boom back to areas where it was most needed. Boyer’s aircraft was part of a fleet of CAP Cessna Skyhawks and Skylanes that flew photography missions along the Gulf Coast, producing huge computer-generated photomosaics that were evaluated daily by the U.S. Fish and Wildlife Service, which was monitoring the impact of the spill on wetlands and the effectiveness of boom. Each airplane shot more than 1,000 GPS-stamped digital photos a day. Over the course of 118 days, 150 CAP pilots flew 1,007 sorties, amassing 2,379 flight hours. Early in the crisis, Emerson and others saw the need for a unified system to manage the air assets. 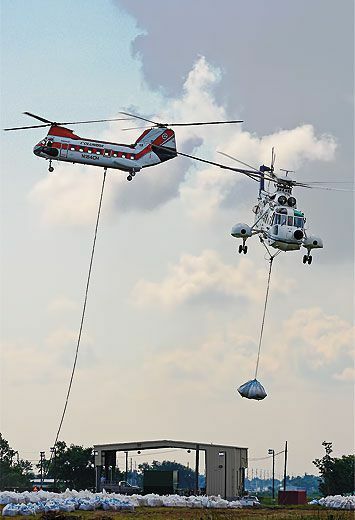 According to the Federal Aviation Administration, helicopter traffic in the already congested gulf doubled to an estimated 2,000 flights per day. The FAA set up a 900-square-mile zone governed by temporary flight restrictions (TFR) which eased the congestion by stipulating altitudes, entry points, and identification and communications protocol. Initially, a Customs and Border Protection P-3 AWACS (Airborne Warning and Control System) radar plane code-named “Omaha” tracked in real time all air traffic inside the TFR and provided conflict advisories to participating aircraft. Emerson and his team also did their best not to disrupt the ordinary air traffic around the gulf, from commuter transports to airplanes towing banners over beaches to the fleet of helicopters that needed to make daily flights to the nearly 4,000 platforms still operating.